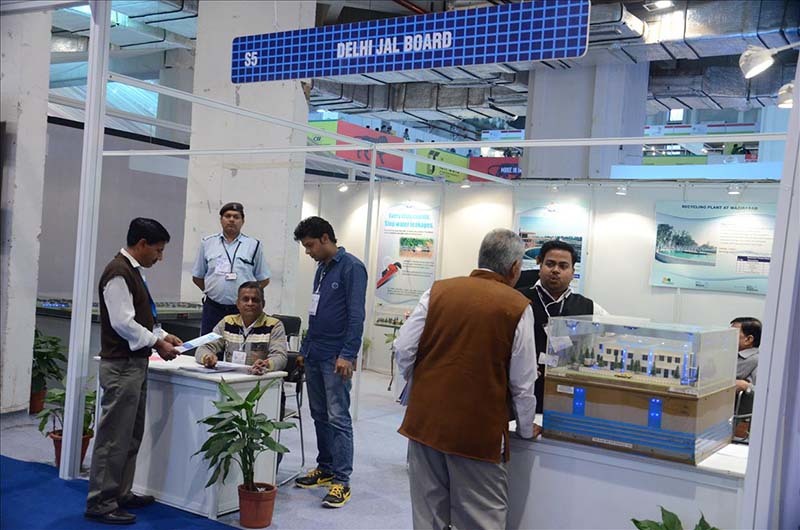 ‘IETF 2017’ a mega engineering and technology fair exhibition was organized between 2nd - 4th February 2017, as part of 22nd IETF 2017 at Pragati Maidan, New Delhi. INLEADers Aniket Patil, Anshul Gupta, Vishal Chaubey and Arun Chettri, all pursuing International Business Management, visited the EXPO on 4th February 2017. ‘IETF 2017’ expo showcased Indian Industrial technology, leading scientific products and services, Path breaking RandD initiatives, government schemes, Automobiles, Achievements of India’s leading Public and Private sectors, government departments, Global companies, Real estate had stalls at exhibition. The scientific organizers push forward their vision as well as innovative ideas through their exhibits. This was not just about science and technology but also about innovation which will make life easy. Major attraction at the expo were the government schemes like PCRA (Petroleum Conservation Research Association), Rain Water Harvesting (Delhi Jal Board), CPCB (Central Pollution Control Board), Also, private companies came up with ideas like IGBC (Indian Green Building), and all of these schemes had main moto of conservation of energy, and making environment pollution free, which is a great initiative. Government of India had also put up ‘Make In India’ exhibition highlighting the new initiative of the Prime Minister. Leading Private sector and Public sector companies like TATA Steel, Linde India Pvt. Ltd., Ganges International, Mahindra Electric, BVG group, YADEA GROUP (CHINA) were some of the other participants. The IETF 2017 expo was spread across 61,290 sq.mtrs, and has participation of over 250 premier organizations. The BMW stall attracted a bunch of curious students and delegates wanting to find out more about new BMW -I8 luxurious model, its design , technology, special features. There were companies from China, South Korea, Japan who came up with spectacular technologies, product advancement like highly designed electric bikes, electric bicycles, weight lifters, cranes, Air conditioning units, household purpose robots which are highly mechanized and cost effective. There were many companies which were came up with innovative business ideas in Logistic, Supply Chain Management to attract and acquire customers from different fields. 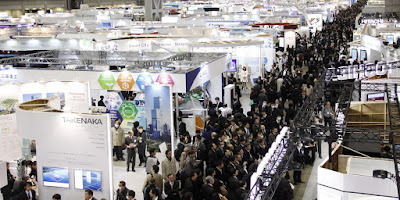 Delegates of reputated companies, entrepreneurs, Business personals were visiting expo and exploring the stalls, company products, and looked extremely curious about gathering information related to their business. The other interesting stall was by National Innovation Foundation, featuring innovation by different companies, and by people from urban as well as rural setups. The stall displayed a 3D printer machine and a water quality measuring on-line system, all designed and developed with the help of innovative ideas from the people and for the people. A stall by MILGROW business and knowledge solution(P)Ltd., an Indian origin company was another one to attract a lot of people who wanted to know more about Robotics and its utility in daily household chores. They have products like, Wet Cleaning machine, Dirt sensor machine, Self-Diagnosis machine, Pre schedule cleaning, Bacteria filter, wall cleaners. This year the ‘IETF 2017’ exhibition laid a foundation stone for India’s place in the Science and Technology arena globally.